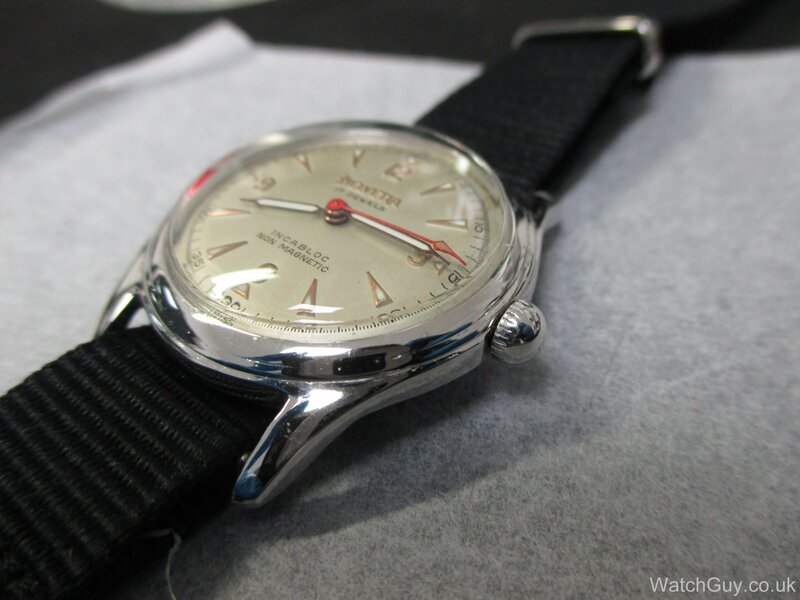 Helvetia calibre 830 | Mitka's vintage watch service. Very nice original dial. some small blemishes. Hands in good condition. New luminous compound on dial and hands. Case has been restored and chrome plated. 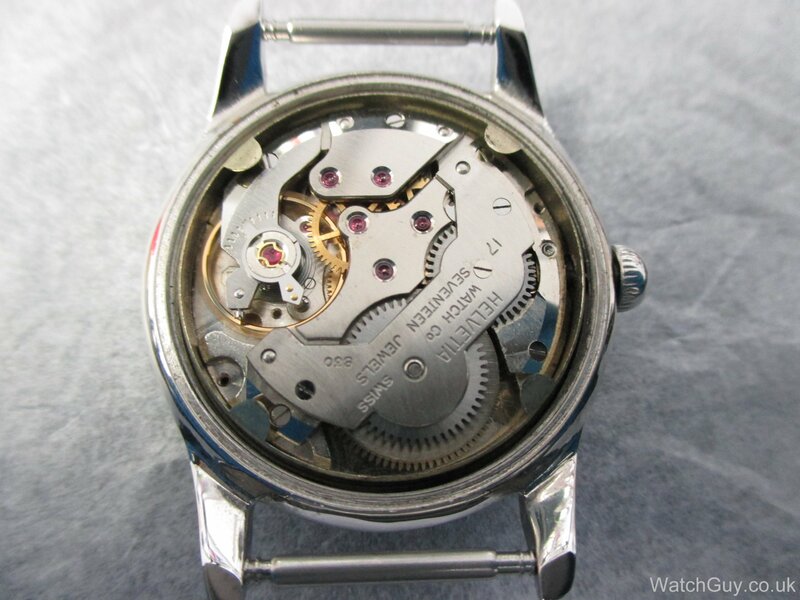 One of my favourite movements the 830 is a funky looking thing. This movement is in good condition. Watch serviced by me in 2015. I like the 1950’s design very much. Click on image for a link to restoration blogpost.